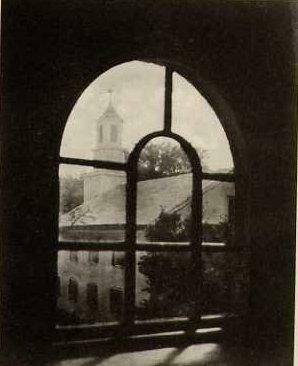 From the book "Dartmouth" by A. Ralph Steiner, with a foreword by Homer Eaton Keyes, published in 1922 by A. Ralph Steiner. This exceedingly rare book contained 24 gravures of pictorialist images made in and around Dartmouth College, where he was a student and a member of the student camera club. Later, under the influence of Paul Strand and Walker Evans, Steiner was to become a noted American photographer. These are his first published photographs. Writing in his 1978 book "A Point of View", Steiner recalls his first efforts: "A few of the pictures caught a bit of life, but many were arty beyond belief. I had no idea then what was my material -- what to photograph -- nor why a photographer photographed; but worse, I did not know a photographer is required to ask such questions of himself." Items Similar To "Ralph Steiner: The White Church, Dartmouth"